For three days, experts in the field of robotics and unmanned systems from all over the world gathered in the Netherlands. To incorporate drones in our lives in a good and safe way, we need anti-drone instruments. 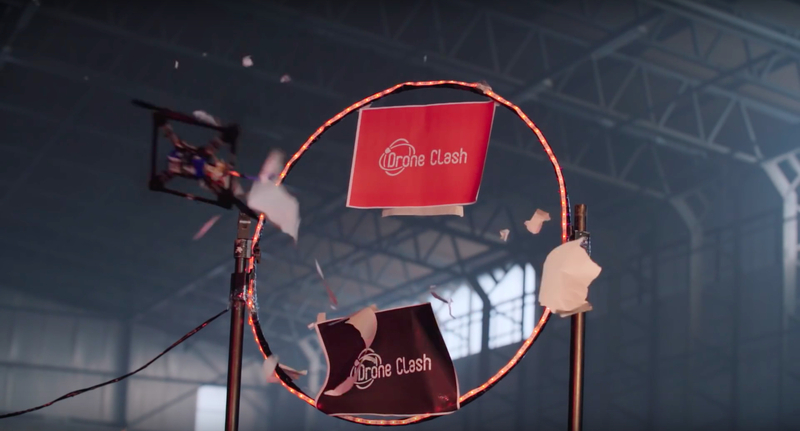 On 4 December the TU Delft Micro Air Vehicle Lab (MAVLab) will host the first ever anti-drone competition: DroneClash. During this competition, participants use their own drone(s) to take down as many other drones as possible. They also need to avoid a whole series of anti-drone interventions. Overview of the experiment and the internal sensor readings of the drone. 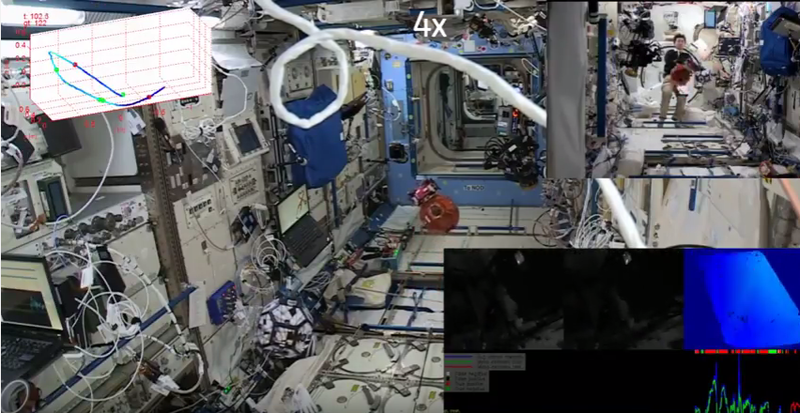 During an experiment performed on board of the International Space Station (ISS) a small drone successfully learned by itself to see distances using only one eye, reported scientists at the 67th International Astronautical Congress (IAC) in Guadalajara, Mexico. In this episode, Abate De Mey interviews Guido De Croon about Evolutionary Robotics and its use to design behaviors for flying robots. New research published today in the Journal of Bioinspiration and Biomimetics shows that an insect-inspired vision strategy can help indoor flying drones to perceive distances with a single camera – a key requirement for controlled and safe landing. With indoor drones no longer needing to bear the weight of additional sonar equipment, the strategy should hasten the miniaturization of indoor autonomous drones. The DelFly Explorer, a flapping wing MAV equipped with a 4-gram stereo vision system that can fly completely by itself in unknown, cluttered environments. © Delft University of Technology. The DelFly Explorer is the first flapping wing Micro Air Vehicle (MAV) that is able to fly with complete autonomy in unknown environments. 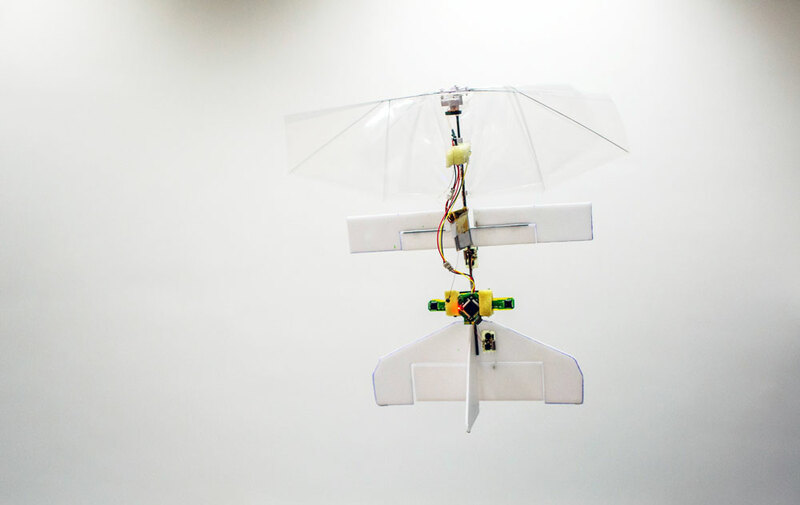 Weighing just 20 grams and with a wingspan of 28cm, it is equipped with an onboard stereo vision system. The DelFly Explorer can perform an autonomous take-off, keep its height, and avoid obstacles for as long as its battery lasts (~9 minutes). All sensing and processing is performed on board, so no human or offboard computer is in the loop.